MINI platform for next gen A-Class? Home » International News » MINI platform for next gen A-Class? 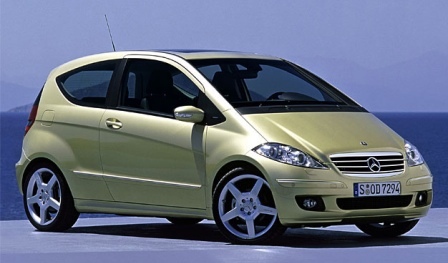 Automobilwoche reports that DaimlerChrysler is considering platform sharing with other manufacturers for the next generation A-Class which is set to debut around 2010 or 2011. This means the current sandwich construction platform will be axed, as it’s expensive construction reduces profitability on the already relatively cheaper model. The report says that one platform being considered is BMW’s MINI platform, which will help both companies as BMW could do with better economies of scale for the MINI. BMW has already previously mentioned an increased cooperation with Mercedes-Benz is welcome as it would help both carmakers enrepreneurial freedom. The new A-Class platform will spawn at least 3 models – an A-Class, a B-Class, and another future entry-level model.